Posted June 29th, 2015 by Jessica Garcia & filed under Uncategorized. Many of us don’t think of Mexico as a first choice when it comes to celebrating Thanksgiving. Why not? Simply because Mexicans do not celebrate this event! However, since Cancun and the Riviera Maya are the number one destinations for most Americans and Canadians, there is no way that Mexicans can ignore this tradition. 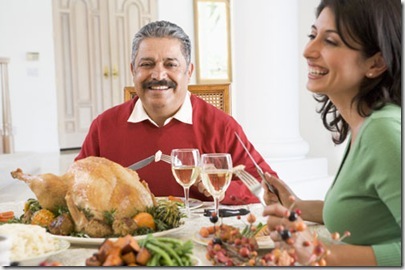 In fact, Thanksgiving is celebrated by numerous foreigners living in Mexico and visitors vacationing in this area. For starters, you will be surrounded by Mexican culture and warm hospitality. Thanksgiving is all about family, loved ones and being thankful for the things we have.One of the things that continually amazes us about Mexicans is that they share a strong sense of family, gratitude, and thankfulness. Secondly, enjoy your turkey with a Mexican flavor! Here’s another interesting fact: turkeys are originally Mexican birds that were exported to Europe in the 16th century, improved by breeding, and then later shipped back to North America. 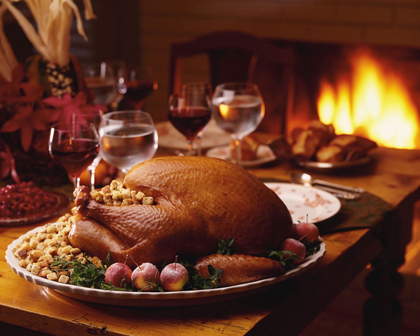 Turkey is a popular Christmas dish in Mexico, so it is usually available by November. Enjoy a truly exceptional Thanksgiving feast with the world-renowned chef Oscar at Hacienda Tres Rios, who will provide you with the most incredible Mexican sauces and seasonings. Thirdly, an important Mexican holiday – Revolution Day – is celebrated around the same time frame as Thanksgiving. During this week, there are parades, fireworks, and a big celebration. An amazing way to blend both cultures, don’t you think? The perfect Caribbean weather, along with the warmth of the Mexican people, all contribute to a unique and memorable vacation holiday experience. With amazing vacations packages available during this time of year, try something different this Thanksgiving holiday season, by joining us here in Cancun!